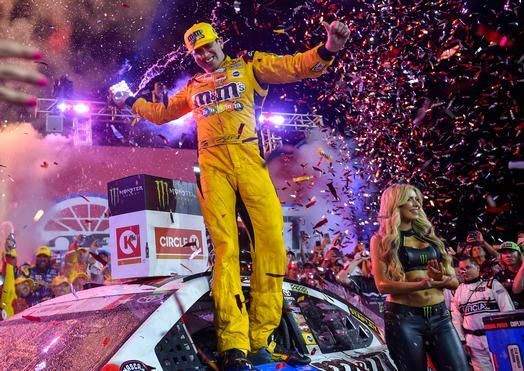 Kyle Busch drove his Toyota Camry into the record books with his win in the Coca-Cola 600, at Charlotte Motor Speedway. According to Toyota, by winning in Charlotte, Busch became the only driver to have won on each active NASCAR Cup Series track. Busch’s win in the Coca-Cola 600 was impressive. He led 377 laps out of the 400, and won each of the race’s three stages. Sunday was a huge day for racing in both the Indy series and in NASCAR. Will Power won the Indianapolis 500 earlier in the day.